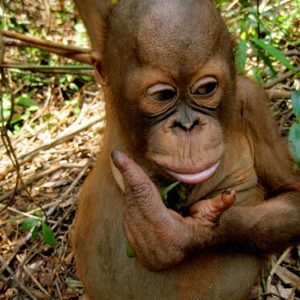 Orangutans live in tropical forests with temperatures ranging from 18 degrees Celsius to 38 degrees Celsius. Daylight lasts for 12 hours. It is the amount of rainfall which varies throughout the year that affects the type of vegetation found in an area. Rainfall averages about 14 feet (i.e. 4300 mm) each year and is heaviest from December through May and again in September. The dry season is from June through August. 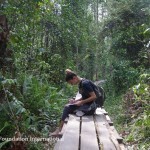 Borneo has peat swamp forests and lowland dipterocarp forests. Dipterocarp trees are from the family of Dipterocarpaceae which provide a valuable timber resource for Indonesia. 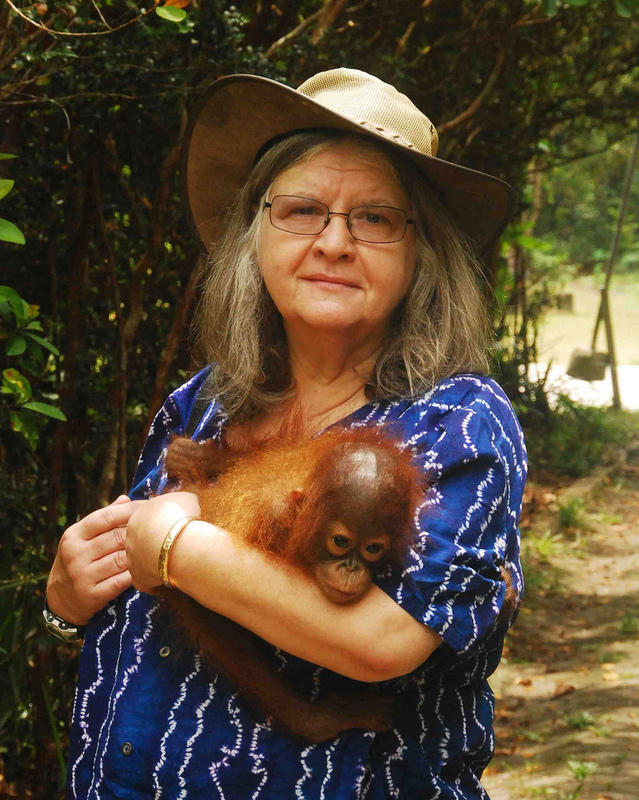 Dr. Galdikas says that orangutans use primary and old secondary tropical rain forests at low elevations. 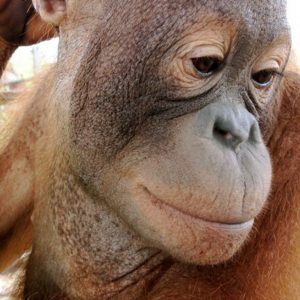 However, she notes that orangutans also travel into grasslands, cultivated fields, young secondary forests, as well as shallow water bodies. 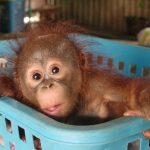 The rapid increase of palm oil plantation expansion has increased the encounters with wild orangutans and plantation workers. 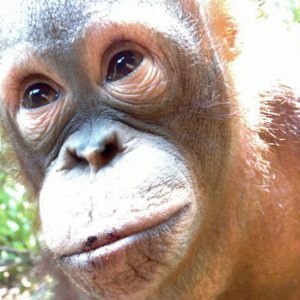 It appears that Bornean Orangutan populations are restricted by elevation because they are not found in forests at elevations greater than 3281 feet or 1000 meters. 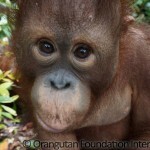 Sumatran orangutan populations on the other hand, may be found at higher elevations. They may be found on plateaus and mountainous regions at elevations as high as 4921 feet or 1500 meters. 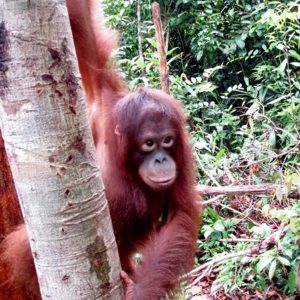 Sumatran orangutans can also be found in lowland dipterocarp forests and peat swamp forests. 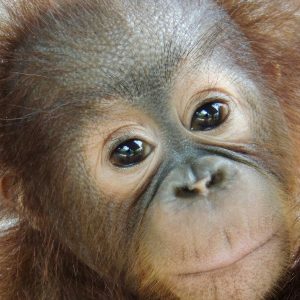 Sumatra experiences an annual rainfall of about 10 feet or 3000 mm. 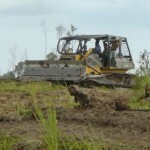 Its wet season is from March to June and from September to December. 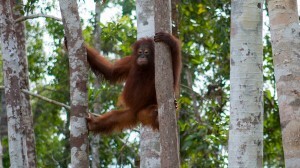 Sumatra’s temperature ranges from 17 degrees Celsius to 34 degrees Celsius. Humidity is 100% year round.